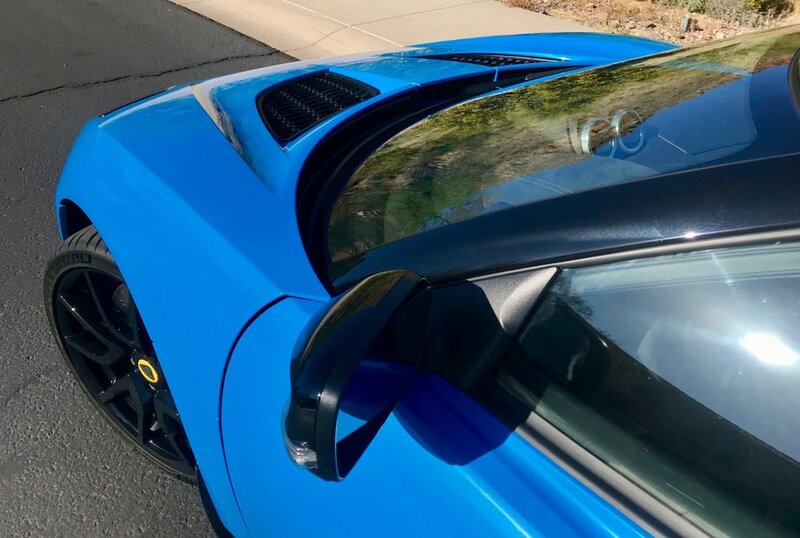 High performance driver’s cars are few and far between these days, especially if you want to row your own gears and drive something that weighs less than 3,500 lbs. 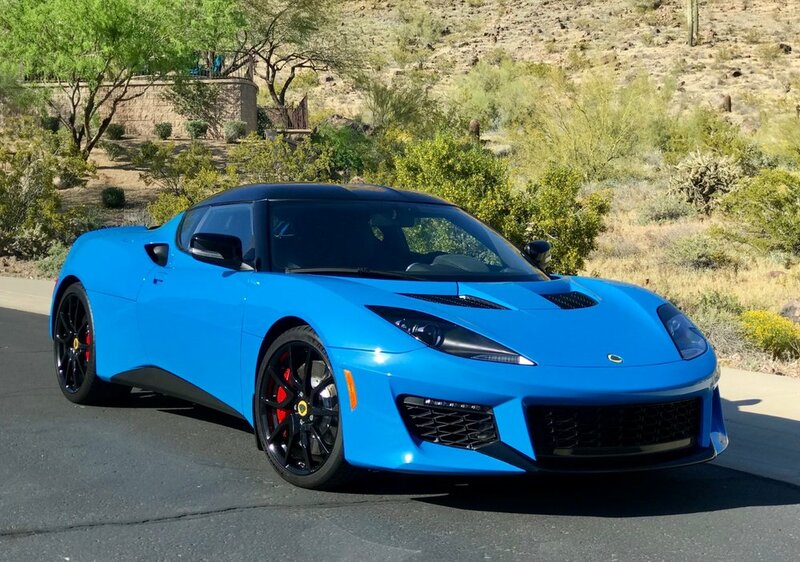 Enter the Lotus Evora 400. For the money, there isn’t much on the market that can touch it. 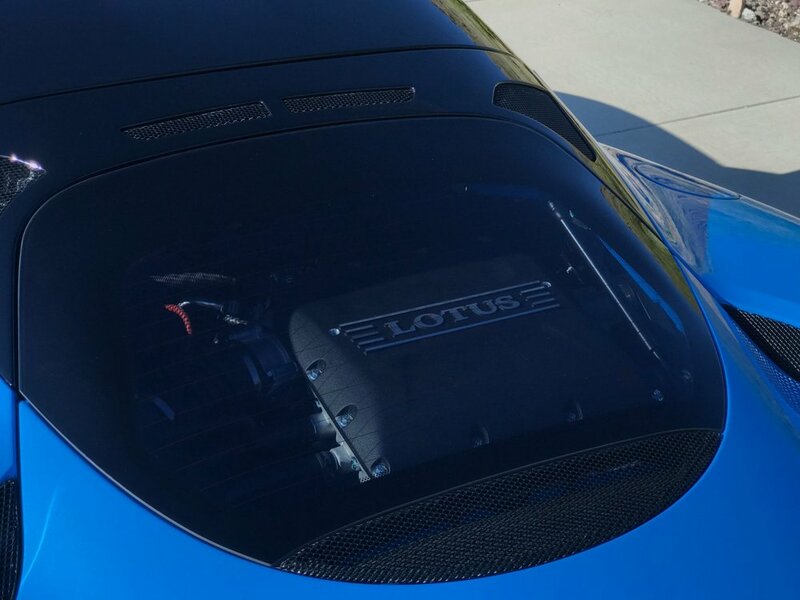 Bring your BMW M4, Cayman GTS, 981 GT4, Shelby GT350, etc. 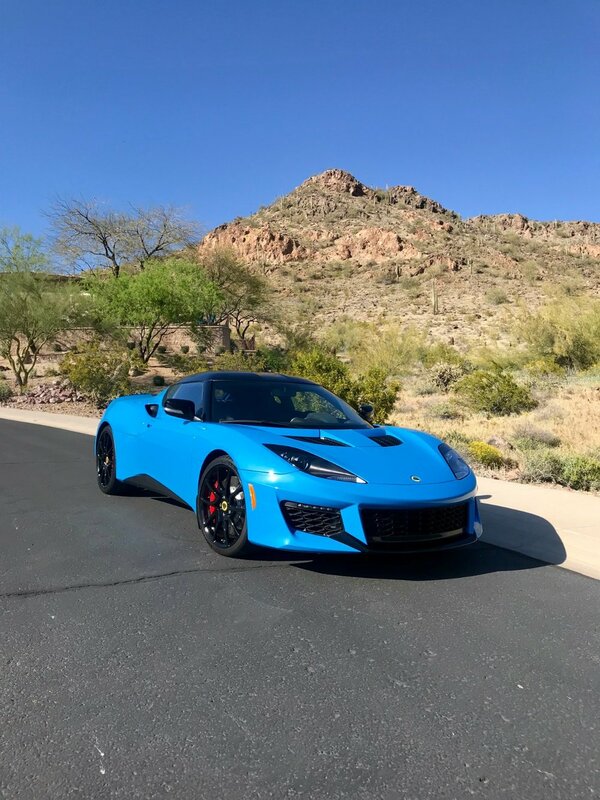 The mid-engine Lotus delivers superb steering and chassis feel, incredible performance, stunning looks, and exclusivity that puts the rest to shame. 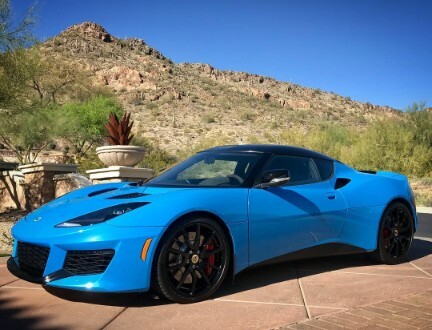 This car is a true exotic in every sense of the word, and every car guy on the road will confirm it as you drive by. 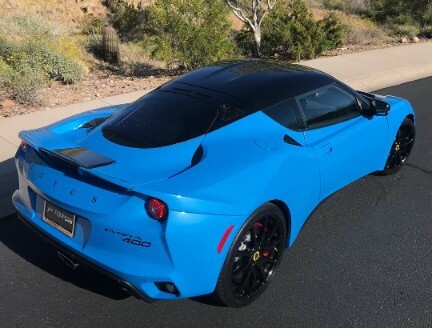 This car gets more attention than any AMG or 911 Turbo that I’ve ever driven, and you’d feel like a red-headed step-child trying to jump back in your M4 or Cayman after a stint in the Lotus. 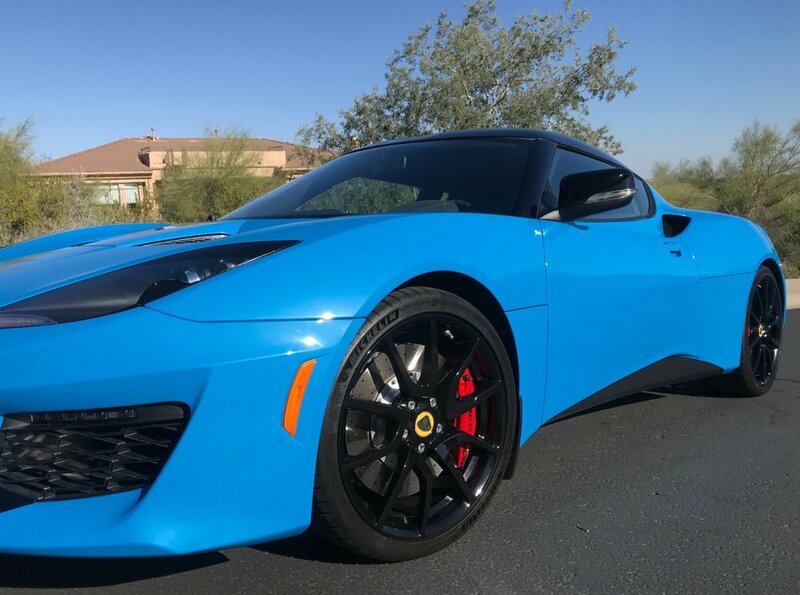 Forman Motorworks is pleased to offer this ultra-rare one-of-a-kind special order Evora 400 finished in brilliant Cyan Blue Metallic. That’s correct, this is the only 2018 Cyan Blue 400 in the United States. 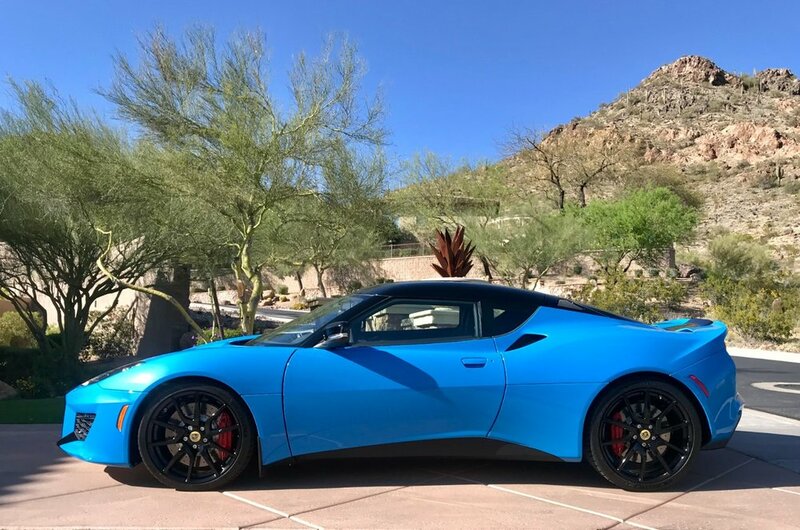 The car is loaded and had an original MSRP of $114K. 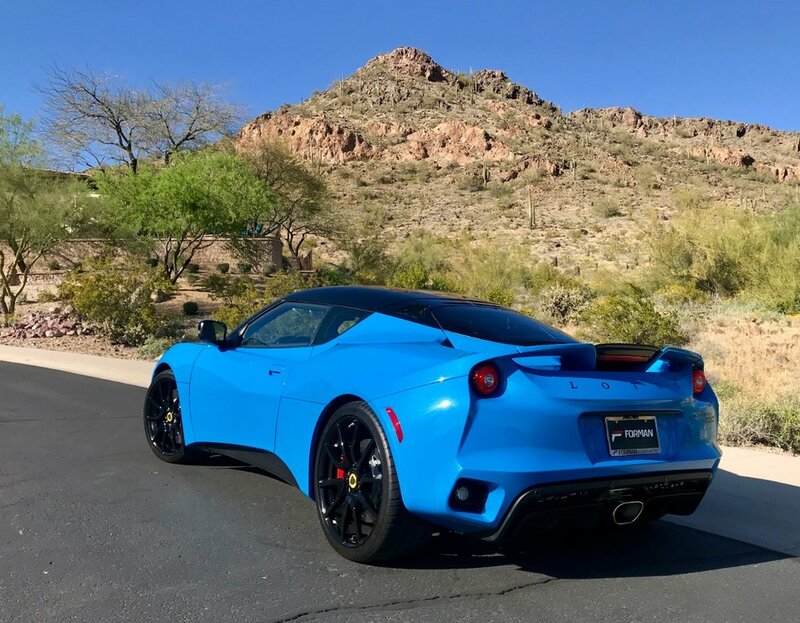 The optional Blackout Package takes the car to the next level and turns an already incredible color combo into the best looking Evora in the country. 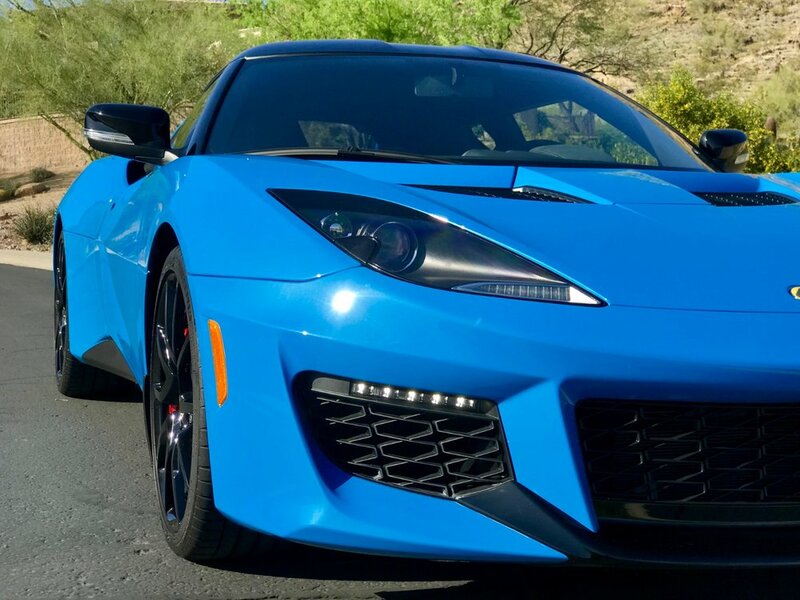 Add the 6-speed manual transmission and you have the winning combo. 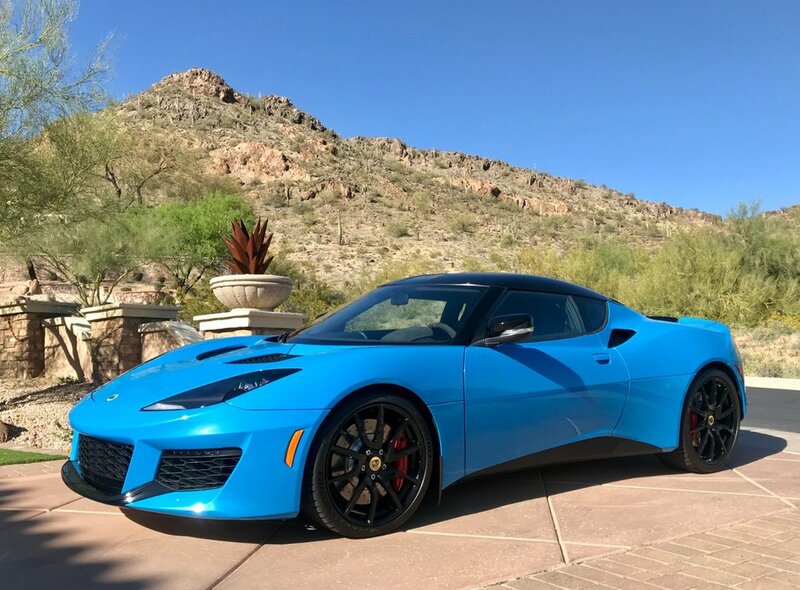 As amazing as this Evora is, the car’s original owner recently had an opportunity to acquire a true hypercar and the decision was made to trade in multiple cars, including this Lotus, in order to make the deal happen. 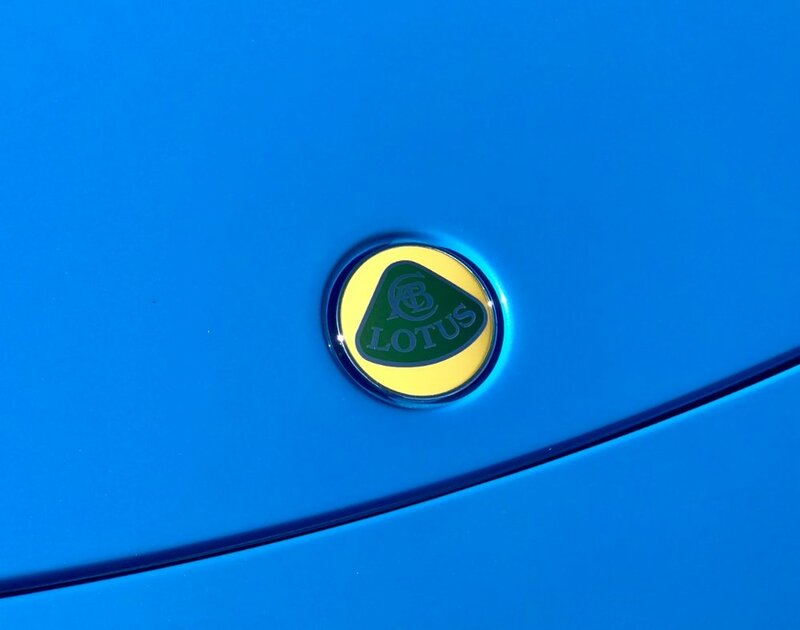 The car has only 100 miles and is in showroom new condition.